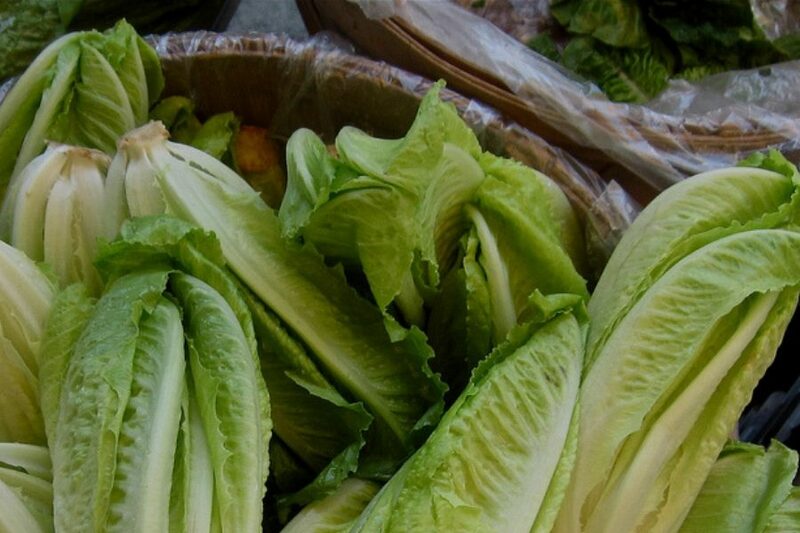 Another E. coli outbreak has emerged and it’s the second this year stemming from romaine lettuce. The tricky part about this recall is…there isn’t yet a recall. The US FDA and the Canadian CFIA have not yet issued a recall for romaine lettuce because they don’t yet know the source. This has caused ripple effects throughout the whole supply chain, from farm to fork. Meanwhile, Canadian officials have confirmed 22 cases of E. coli in three provinces with victims between the ages of five and 93, eight people hospitalized, and one with severe complications. American officials have confirmed 43 cases of E. coli in 12 states from California to New Jersey for victims between the ages of one to 84 years old and one with severe complications. All of this adds up to one nasty strain of E. coli and one big problem for the food industry. Both American and Canadian agencies have issued public health alerts, warning consumers to avoid eating any romaine lettuce. Earlier this week, they were able to narrow it down to lettuce grown in the Central Coast growing regions of California. But in the meantime, retailers had to take action and many grocery chains – including Walmart, Sobeys, Costco, and Loblaw – removed all their stock of romaine lettuce, which has a shelf life of about 21 days. So what can the food industry as a whole learn from this unfolding disaster? Things aren’t looking much better this time. When the FDA narrowed the scope of the advisory this week to the Central Coast, they didn’t do it based on new evidence but based on timing. Since farms in Arizona, Florida, Mexico, and California’s Imperial Valley only started harvesting their crops after the first cases of E. coli appeared, the FDA was able to exclude those areas from its investigation. The FDA also eliminated romaine lettuce grown on hydroponic farms or in greenhouses. Harris pointed out some of the challenges associated with this type of produce outbreak to Food Safety Tech last week. For one, it’s difficult to track products by lot code because the lot information disappears at the point of service. Leafy greens are also often commingled, which makes it hard to identify the source. Furthermore, different companies and agencies have different ways of recording information, which takes a while to reconcile. Add to all of this the hugely complex logistics of conducting testing on a massive geographic area based on a product with a short shelf life and often little packaging information at the consumer level, and you have yourself a problem. In response to recent outbreaks, the Leafy Greens Marketing Agreement (LGMA) organizations in California and Arizona already required their members to be able to trace products back to a specific field, but once the product leaves the farm, that information is not carried over to processors, packers, shippers, distributors, retailers, nor restaurants. That’s just not going to cut it, especially if you are a food manufacturer who uses leafy greens in your products. Since products like romaine lettuce are often unlabelled in stores (especially unpackaged whole heads of lettuce), there is no way for retailers or consumers to trace the source of lettuce once it’s on the shelf or in the fridge. In response to this outbreak, FDA and a new industry task force were able to reach an agreement to include labelling information on romaine lettuce in the future, specifically harvest location and harvest date, to help consumers navigate the current outbreak. There is every reason to think that such labelling practices will be required in the future, not just to protect consumers, but to help limit the scale of these kinds of disasters to particular regions, if not farms or facilities. Blanket advisories have negatively impacted romaine lettuce growers everywhere in North America. In Southern Florida, for example, romaine lettuce is a smaller but still sizable industry at $95 million a year. Many of the southern growers were not yet harvesting when the warning was announced and yet they were still unable to sell their lettuce because retailers and consumers don’t know where the lettuce on the shelf came from. Without the right traceability information, everyone suffers. The FDA has taken a “clean break” approach to deal with this outbreak, which means purging the entire market of all romaine lettuce. Since the origin of the outbreak was unknown, the policy has meant that massive quantities of romaine lettuce have been removed from shelves and kitchens. And since mandatory recalls can only be issued with respect to a specific company, what happens when we don’t yet know which company (or companies) is on the hook for the bill? When consumers rightly bring back products that might be contaminated after a public health warning has been issued, they expect a refund for the products that they couldn’t consume. There are also the logistics of disposal and replacement to consider, all governed by complicated rules that come into effect when a recall notice has been issued. Until a recall is issued – and it could be that no single company will be identified as the source – retailers are forced to take responsibility for suppliers. Sobey’s has already reported that this recall has cost them in the millions of dollars. The vice-president of the grocery division and regulatory affairs with the Retail Council of Canada, Jason McLinton, told CBC News, “We are seeing more and more of these ‘do not consume’ advisories being issued and it’s new to consumers and people don’t know quite what to make of it.” With this kind of financial pressure settling on retailers, you can expect that those businesses will take action to ensure that their suppliers are doing all they can to improve traceability and reduce the risk of recalls. Will you be ready? The industry is taking note of this kind of movement from retailers. In the recent Q&A published by the United Fresh Produce Association in response to this recall, they are advising growers to move toward better traceability for their own benefit. This is not a lesson just for growers of leafy greens. The entire food manufacturing sector should also take note that retailers are becoming more and more proactive in requiring advanced, automated traceability software solutions from their suppliers. It’s not just traceability technology that’s making the headlines during this crisis. Innovation in agriculture is starting to gain traction as the traceability challenges of leafy greens remain unresolved. Companies that grow romaine in hydroponic farms are using the opportunity to tout the safety measures that are possible in that environment. Part of the risk inherent in leafy greens is that they are grown in a field and often eaten raw. Opaskwayak Cree Nation LED Smart Farm, a First Nations farm in Northern Manitoba, Canada, pointed out that they grow their products in a clean room – basically a laboratory. Employees wear masks and follow strict procedures, and the plants are grown with treated tap water that is run through a UV light to reduce the risk of contamination. Sophisticated growing and manufacturing technology is becoming more attractive to retailers who are looking for higher quality and lower levels of risk. Icicle’s automated food manufacturing software can help you take traceability to the next level and secure future business. Learn more about our smart, enhanced traceability system here and request a demo today!